One factor every car designer considers when coming up with a new car is weight. Cars have to be strong and sturdy enough to withstand an accident but they must also be light in order to maximise fuel economy and improve performance – and for sports cars, light weight is perhaps the most important criterion. In an era of composite materials you’d think modern cars would be shedding the pounds – but most are getting beefier thanks to all the additional gear and strengthening legislation calls for. Nonetheless, there are still some very light and consequently very nimble cars on sale in the UK today. This is our rundown of the top ten. Figures are for the cars kerb weight – the cars ‘ready-to-go’ weight, including fluids and a tank of petrol, less the weight of passengers. The fun-looking Twizy is powered by an electric motor – and not a particularly powerful one. 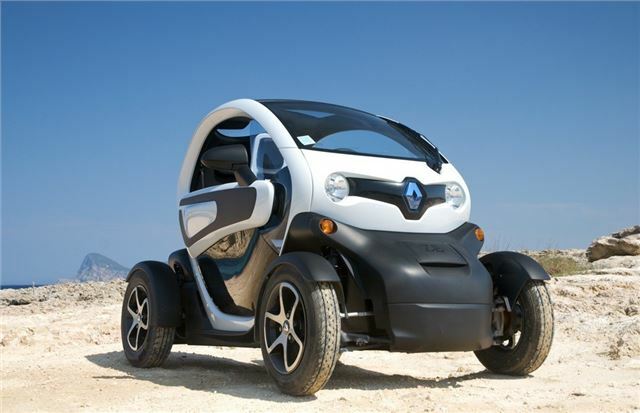 Luckily it doesn’t need to be powerful because the Twizy only weighs 474kg. It's output is 17PS, so it’s hardly about to shred its tyres in a cloud of smoke, but it’s enough to get around town.